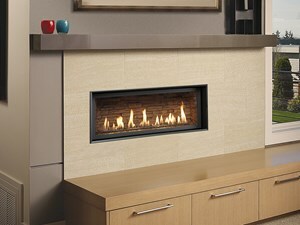 The 3615™ is the smallest model in the three-part Linear Gas Fireplace Series and is perfect for more intimate spaces, such as bedrooms, bathrooms and cozy dens. 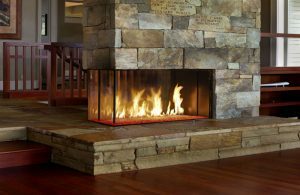 Like its larger counterparts, the 4415™ and 6015™, this fireplace showcases a stunning fire view unlike anything else available. 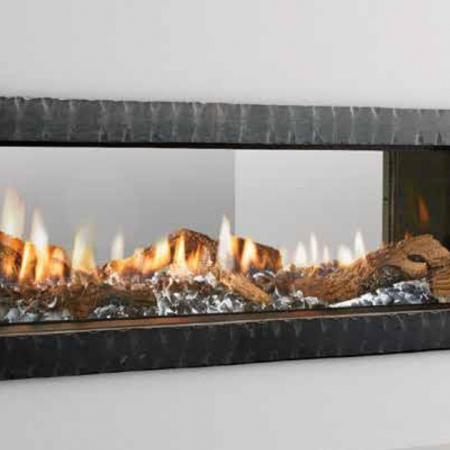 Its sleek, heavy gauge steel firebox displays tall, dynamic flames over a bed of reflective crushed glass which is illuminated by bottom-lit Accent Lights and accompanied by a unique fireback and optional interior fire art. The transitional architecture and design of the 3615™ allows this model to complement both traditional and contemporary homes. 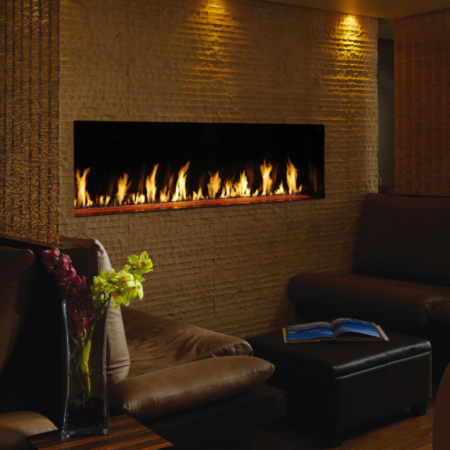 The 3615™ has a high heat output of 33,000 BTUs and has the ability to heat up to 1,700 square feet by utilizing two concealed 90 CFM blowers. It features high quality, ceramic glass that comes standard with the 2015 ANSI approved low visibility safety barrier, increasing the overall safety of this unit for you and your family. 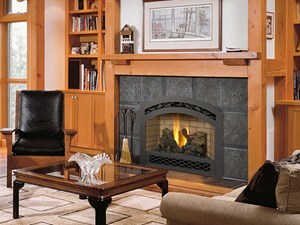 This model also allows you to heat up to two other rooms in your home with the optional Power Heat Vent Kit. The new GreenSmart™ 2 Wall Mounted Remote is included with the 3615™ and allows you to control virtually every component of this fully-loaded unit. 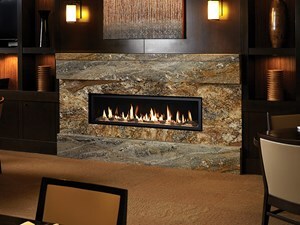 See the different in superior quality and performance with the 3615™ HO Linear Gas Fireplace. 61.51 % NG, 63.62% LP ** ** Your results may vary depending on your vent configuration.